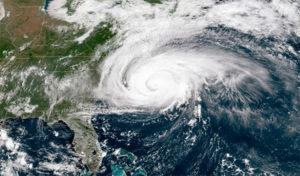 Twice as many livestock have died in North Carolina due to Hurricane Florence as perished in Hurricane Matthew two years ago, and more manure lagoons have been damaged or flooded, state agencies said on Wednesday. In a letter to House and Senate ag leaders, officials from 60 U.S. cities have protested a House farm bill provision that would prohibit them from setting local pesticide restrictions that are tougher than the federal government’s. Monsanto asks to vacate glyphosate award (The Recorder): Monsanto has filed two motions in San Francisco Superior Court with the same goal: to set aside the jury award of $289 million to a groundskeeper who says the weedkiller glyphosate caused his cancer. With marijuana legal, will Canada’s foodmakers inhale? (Food Business News): Canada is the first of the major industrial nations to legalize the recreational use of marijuana, effective Oct. 17. Analysts say “edibles” are likely to be popular, creating a market opportunity for food and beverage companies. Fewer hogs in China (Reuters): China’s hog inventory is nearly 5-percent smaller than a year ago, according to government data, reflecting low prices for hogs and the outbreak of African swine fever, a fatal hog disease. Beef beats broilers for export bucks (USDA): Broiler chickens account for 40 percent and beef for 18 percent of U.S. animal-protein exports so far this year, although the percentages are reversed when it comes to dollar value. ‘Don’t mess with Nana’ (Dallas Morning News): Judy Cochran, a great-grandmother and small-town mayor, shot a 580-pound alligator on her ranch. The mayor, who bought a hunting permit in advance, said it was revenge for an attack that had killed her miniature horse. Tagged 2019, beef, Canada, China, farm bill, hogs, Hurricane Florence, Hurricane Matthew, marijuana, Monsanto, North Carolina, pesticides, soybean.